A library on top of Le Rocher near the palace is believable. An Irish one – are you sure? Yes, I am and I have proof. Hidden behind an elegant understated facade in the narrow streets of Monaco Ville, there is this fascinating gem. A cheerful man came in and said at the top of his voice, “Top of the mornin’ to ya. A pint of yer finest Guinness!”. The shocked lady behind the counter responded, “Sir, please keep your voice down. This is a library”. The man looked mortified, thought for a moment, then whispered, “A pint of yer finest Guinness please”. 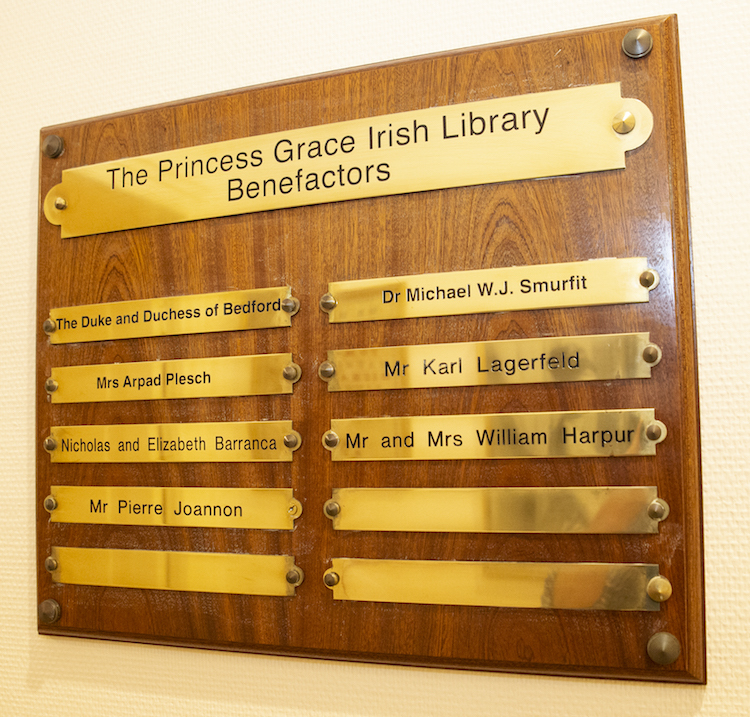 The Princess Grace Irish Library is a library and much, much more. 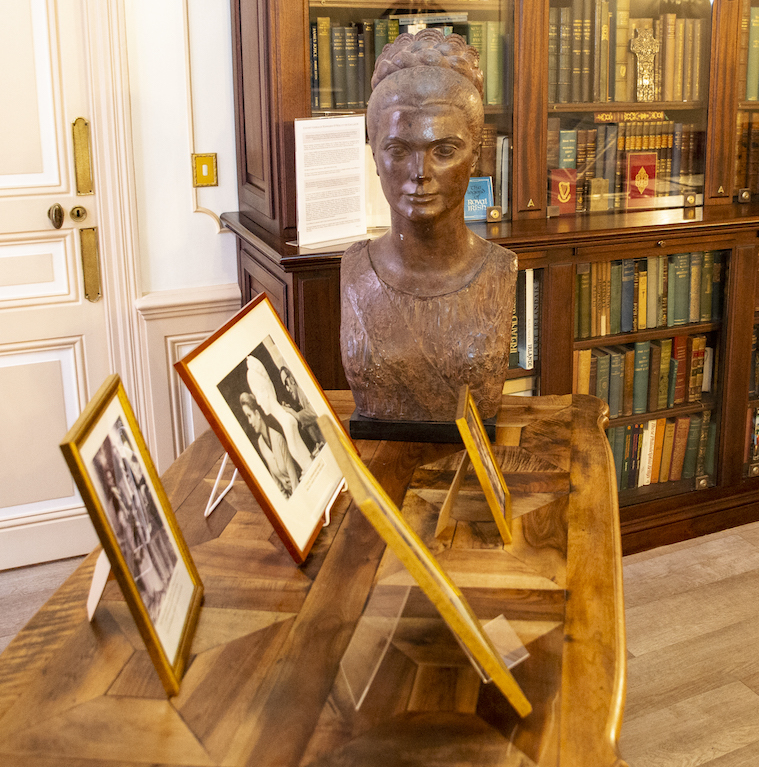 The imagination doesn’t have to be stretched too far as the late Princess Grace was very attached to her Irish roots. As much as it is a library, it is a testament to a very interesting person, not just a movie star and princess. The library is on the first floor of a historic building. It provides for nooks to read quietly, other spaces in which to look through and research the huge number of titles on offer. That is not all, there is a great space for talks. Read on. A sweet section is dedicated to little cherubs. It is lovely. It is fun, interactive, educational and warm. 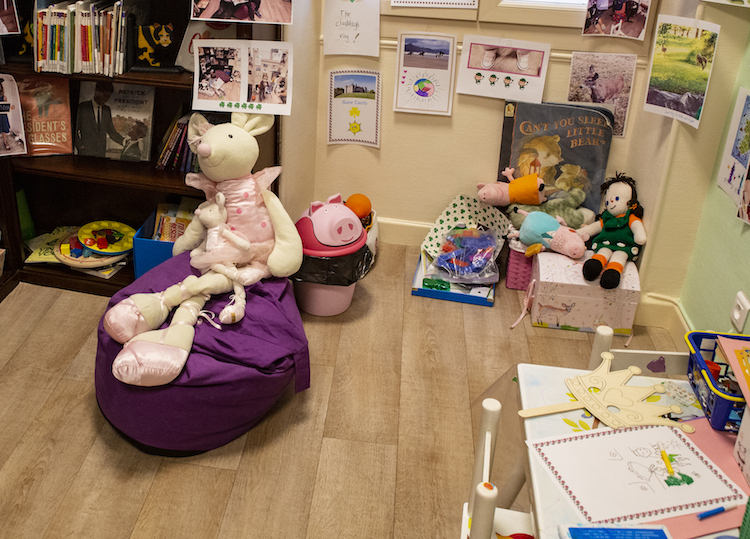 The children that enjoy the space and lively atmosphere come from all corners of the world. Here they can find out about Ireland, Princess Grace and, of course, Ireland’s welcoming culture. It is undeniably cute and then some! A Connemara Pony rocking horse – can you get more Irish that that! There is a lot more cuteness to be had. 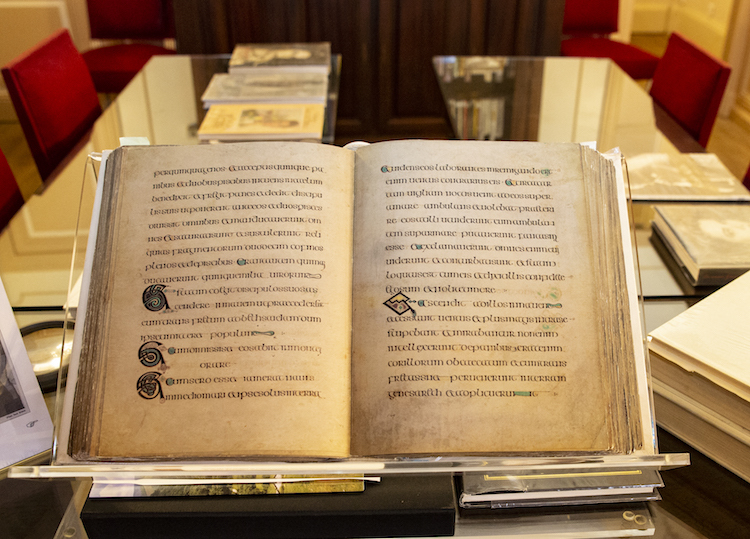 On show in the main room is an accessible version of the Book of Kells. It is a great facsimile that can actually be leafed through. Each and every detail of the Trinity College original has been faithfully recreated. Good luck reading it! 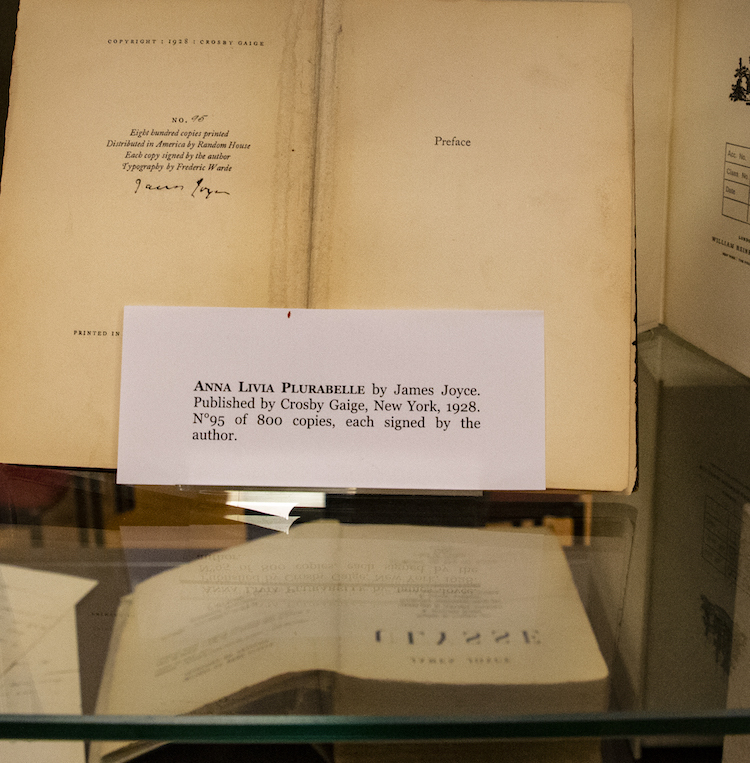 Okay, how about a first edition of the French version of James Joyce’s Ulysses? Got it covered! Plus there is an exchange of letters with the publisher. There is so much more to discover! 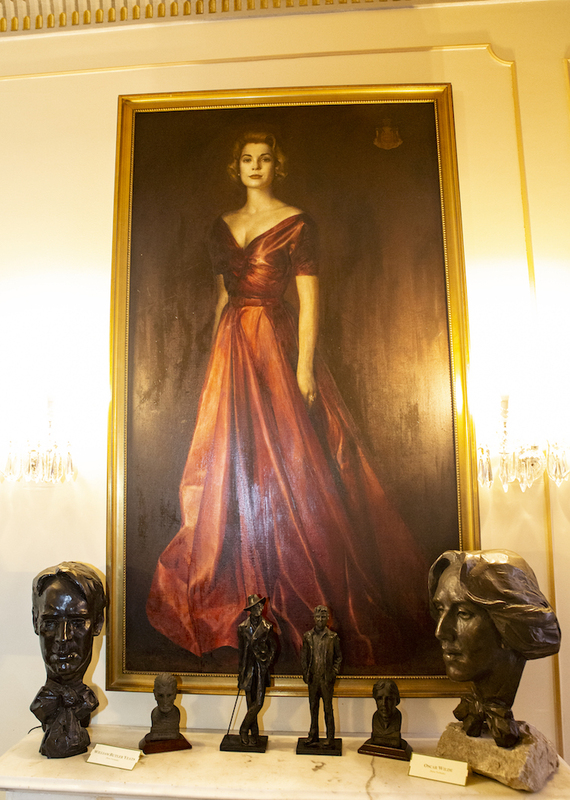 Princess Grace loved books and music. 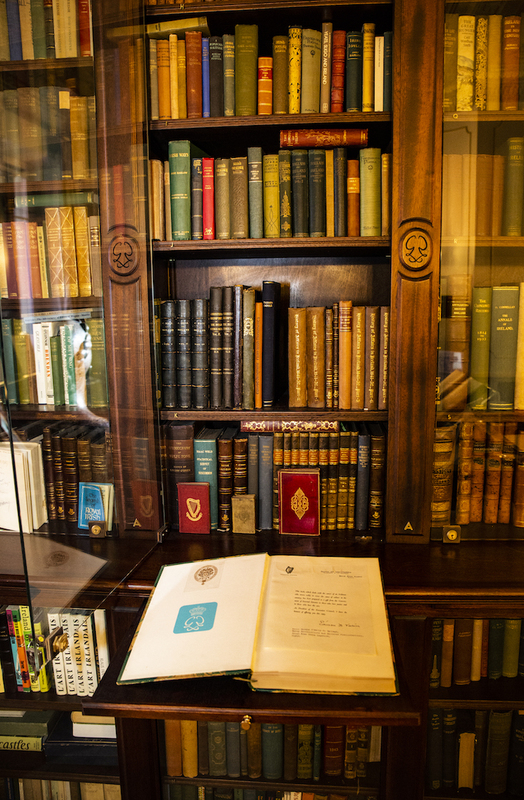 There is the cabinet full of her own books which are rich and varied. 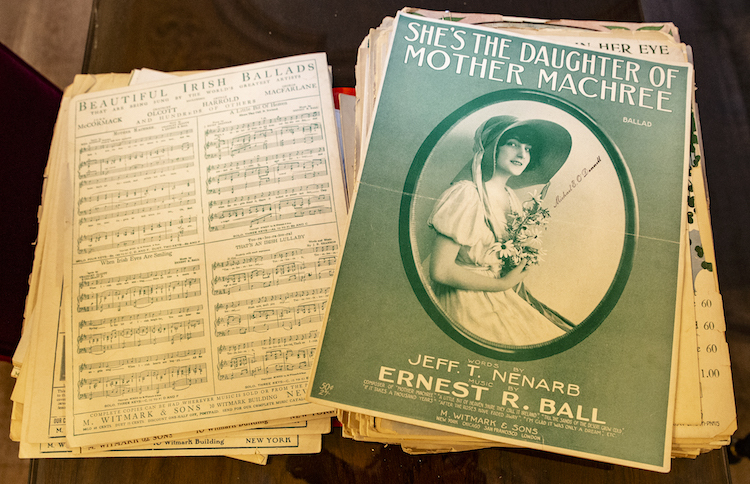 Music wise there is an entire chest devoted to her amazing sheet music collection. The music collection is an anthology of Irish music, some of it sad as it relates to those who had to leave Ireland whilst others are pure, joyful Broadway. They are beautifully preserved, so colourful too. 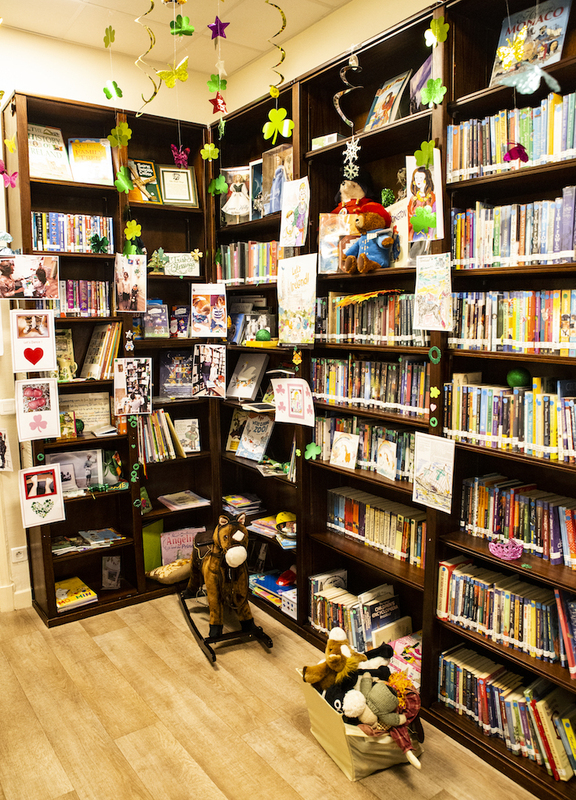 The library is more than just a place to access Irish literature. It holds many varied event, seminars and workshops. A great example for you, in January the library will welcome Adrian Frazier, Professor Emeritus, National University of Ireland Galway. His talk will be on “The Bull from Sheriff Street: The Life and Work of Irish Sculptor John Behan”, John Behan is one of Ireland’s foremost sculptors and, the big news is, he will be there. The library is open during the week. It is fascinating. One more thing, I have been asked to reiterate that is a LENDING library! And … there is no Guinness, sorry.